This is a quote I just posted on Facebook and Twitter. It comes from p.151 of my book. What it means haunts me. No grace. Put them down. They need to be stopped. The fury of innocents dying in brutal beheadings is beyond our comprehension. And we wonder…Where do these perpetrators come from? Did they grow up dreaming of violence and destruction? Or at some impressionable time in their young lives were they too victims? Captured and brainwashed by the generation before them who were captured and brainwashed and on it goes…. Evil that swirls on the other side of the world while we comfortably hold our children and put them to bed. And it appears no matter how many military dents we make, we can’t stop it. And yet, should we not try? And then I get up on Sunday and go to church. And my heart is conflicted. Where in the world does grace come in? And if so, where is that point? In the global story we find ourselves in- of unspeakable acts of violence. How do we STOP THIS with grace? Maybe we should start smaller. In our individual stories of abuse and divorce and addiction and betrayal and brokenness. Before little damages create bigger damages which create global damages. 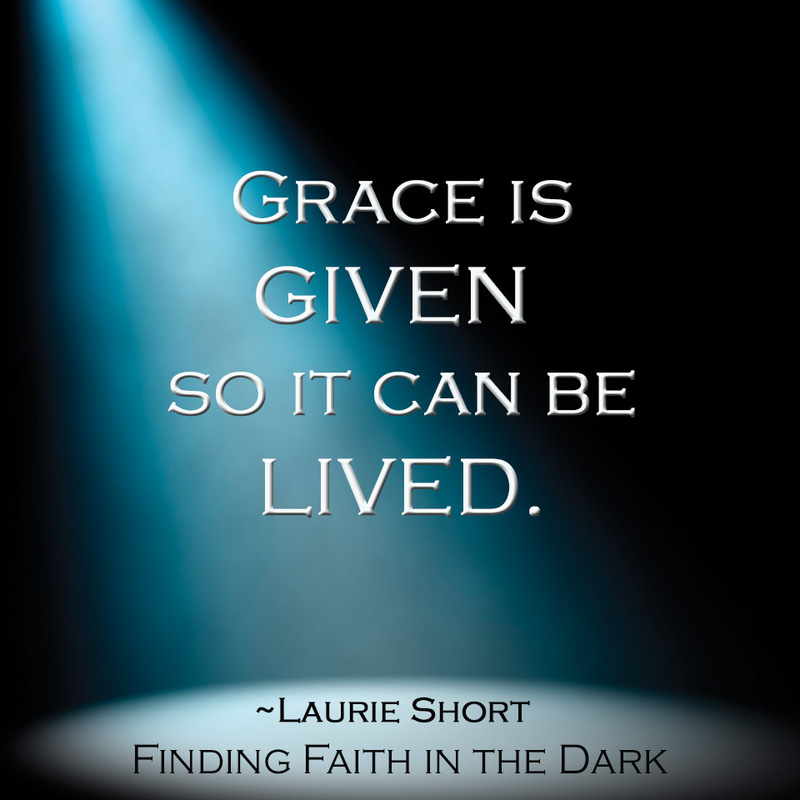 But how does one “do grace” in an often graceless world? Which mysteriously grants us the power to start over each day. In whatever shape or form we can. No matter what we get back. Because the experience of grace is what breeds it. Grace is given so that it can be lived.